This portrait of Richard II in Westminster Abbey is familiar. What is less well-known is that it is heavily ‘restored’ over the years, most recently in 1866. In Richard II, Manhood, Youth and Politics, 1377-99, Christopher Fletcher reveals that when examined under infra-red reflectography the king’s beard was much more developed, covering much of his face, the line of his jaw was much more defined, the lips were less full. In other words, Richard’s image has been deliberately ‘feminised’ to match his reputation – or more precisely, the reputation Lancastrian propagandists attached to him as they went about distorting his character. The fact is that only one contemporary Chronicler, that of Evesham Abbey, makes any reference to Richard appearing in any way feminine. He wrote that Richard had ‘fair hair, a white, rounded and feminine face, occasionally corrupted by a phlegmatic humour.’ But as this writer could not even get so basic a fact as the king’s height correct, one is left to wonder whether he actually set eyes on Richard. In any event, the description was set down after the king’s fall, and may well have been influenced by the propaganda of the new Lancastrian government. So whence does this reputation proceed? As Fletcher explains, the medieval concept of manhood (based on classical tradition) held that women (and youths) were imperfect men. In particular they lacked the reason of men, were inconstant and apt to tell lies. 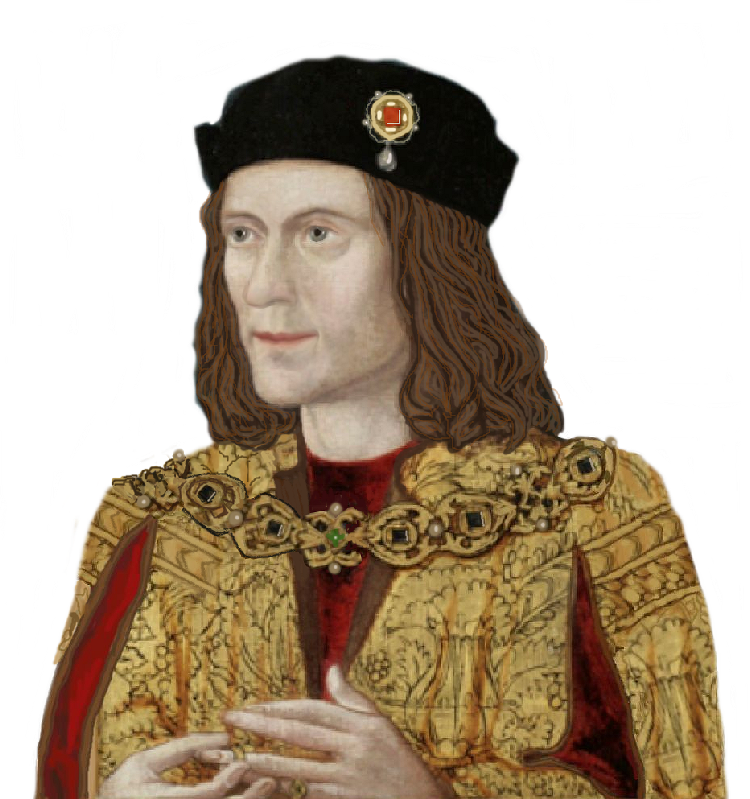 These alleged defects are among those attributed to Richard, and help to explain why he is often spoken of as a ‘youth’ or ‘youthful’ or influenced by overly young advisers, even when it is obvious that (at least in the later part of his reign) Richard was not a youth – by our standards, let alone medieval ones – while even a casual examination of the facts will reveal that the majority of his advisers, throughout his reign, were his seniors, in some cases by many years. In short, what medieval people meant by ‘youthful’ or ‘female’ was something different to what we mean by these terms, and implied a character defect. It did not necessarily mean that Richard was (in our terms) young in years or feminine in his ways, or that his advisers were literally youths. It is interesting to note that in his speech to Henry IV’s first Parliament, Archbishop Arundel stated that England had been ruled by youths by the counsel of widows. This sounds very much as though there was a suspicion that Richard had ignored his formal council and had in effect been advised by a sort of informal cabinet council in which women had their say! That he kept women at court in some numbers is undoubted. But did they really have political influence? Arundel’s comment may be nothing more than a party political swipe to justify the overthrow of Richard’s government, but it is a good example of the conservative attitude towards the rule of women in England, which Margaret of Anjou and Elizabeth Woodville were to face in years yet to come. Although we are told not to judge by appearances, it is an unfortunate fact that appearances do influence opinion, even the opinions of professional historians. If Richard II’s portrait had not been ‘adjusted’ one wonders whether the king would have been referred to as ‘slightly epicine’ by Nigel Saul in his 1997 biography, or whether Saul would have dwelled on his ‘narcissistic’ personality. The irony is that on three separate occasions in the 1380s, Richard proposed to lead an army to France in person. What stopped him from being a putative Henry V was that Parliament would not, or could not, supply the necessary funds. (A tale so familiar in later 15th Century history!) Richard was in fact keen to prove himself in the traditional ‘manly’ way, and it was scarcely his fault that there was no money available for the purpose. (By the way, at this point he was spending less on his household than Edward III had done, so wild expenditure on pretty clothes and favourites cannot be blamed.) In 1385, he actually did invade Scotland – with one of the largest English armies assembled in the middle ages. He gets little credit from English historians for this – unfortunately his opponents ran away and there was no set-piece battle – but apparently Scottish and French historians are rather more impressed. Contrary to popular opinion, Richard also appeared in tournaments, and won honours on occasions. Of course, one must also put an asterisk against tournament honours won by kings, but he certainly took part. He also rode right through the night on one occasion in his haste to get to London. Was this a physical weakling? The final irony is that Richard’s burning, relentless determination to avenge himself on his enemies, to avenge his honour as he saw it, was the very epitome of noble masculinity as it was defined at the time!